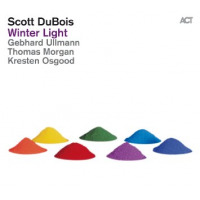 While there are certain similarities between DuBois' two seasonal epicsthe presence of bassist Thomas Morgan, multi-reedist Gebhard Ullmann, and drummer Kresten Osgood; the semi-programmatic nature of the music, taking shape within each single song and as a progression from one to the next; and the use of space, atmospherics, tension-and-release play, and rubato to call to mind the appropriate imageryAutumn Wind goes several steps beyond Winter Light in concept and execution. 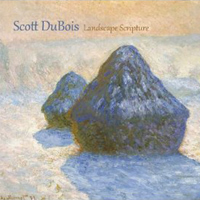 DuBois' design work taps into long-game serialism, as the twelve main pieces on the album each start on a different note. The tone row generated by those leaping-off points is then used at various points throughout. Going one step further, DuBois also decided to play on another duodenary level, using personnel as his game pieces. The members of three different quartetsthe aforementioned band from Winter Light, a string group, and a woodwind foursomecome into the picture one by one, finally culminating in "Autumn Aurora Borealis." "Mid-September Changing Lights" serves as a leaping off point and a wonderful introduction to DuBois' guitar chiaroscuro techniques, as he plays light against dark all by his lonesome. 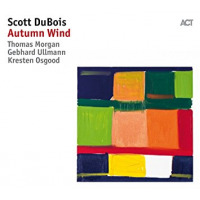 Then his friends start to file inMorgan on the tranquil "Late September Dusk Walk," Ullmann (with his bass clarinet) on the hypnotic "Early October Insect Songs," and Osgood on the tempestuous "Mid-October Migration." By the time the strings enter the picture, the sound is in full bloom. The vivid colors depicted on "Late October Changing Leaves" are given form through lively (inter)play and wild bass clarinet antics, the chatter and charm of "Early November Bird Formations" is positively frenetic, "Autumn Wind" invites space to play a major role and offers pizzicato rustling of the leaves, and "Mid-November Moonlit Forest" plays a gorgeously grave string quartet against Osgood's propulsive drumming before inviting the full weight of eight into view. The final stretch leading toward the end of the season brings the winds into the fold. "Late November Farm Fields" dials back the weight and tension of what preceded it, taking shape as a stroll through the country guided by Ullmann; "Early December Blue Sky And Chimney Smoke" is a boisterous barn dance, a piece enlivened by aural cavorting; "Mid-December Night Sky" takes form as a starry soundscape that's kaleidoscopically pure; and "Autumn Aurora Borealis" is a wild melee, where jumbled images and aural friction mirror the northern lights. Then the strings return to send us off with a reprise of "Mid-November Moonlit Forest," kissing the newly frigid air goodbye. 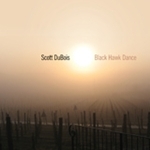 As with Winter Light, Scott DuBois has managed to do the impossible in bringing sound to season to sound. Now we just need him to investigate summer and spring.